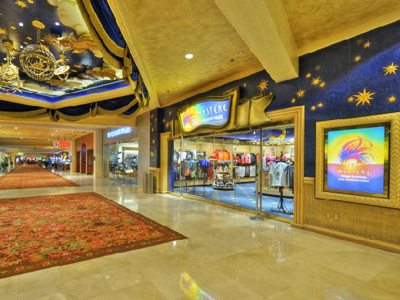 Receive up to 40% off when you make a hotel reservation at Treasure Island online today! One of these special offers is sure to suit your needs! Hurry and book now! Treasure Island is a crown Jewel that promises a comfortable stay!Make your reservation online with this special offer and save up to 30% at Treasure Island Las Vegas. 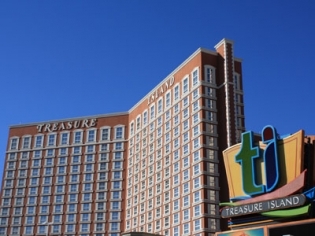 The Treasure Island Hotel is in the heart of it all, located in the center of the Las Vegas strip. Referred to as TI, it offers first-rate accommodations with superbly appointed rooms. 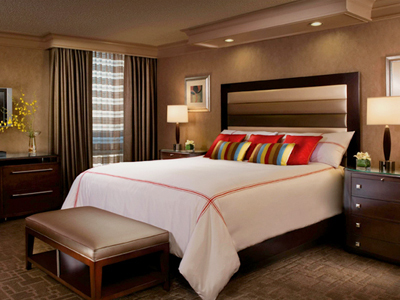 The rooms are large, with floor to ceiling windows giving great views of the Las Vegas strip. The Treasure Island Hotel is in the heart of it all, located in the center of the Las Vegas strip. Referred to as TI, it offers first-rate accommodations with superbly appointed rooms. 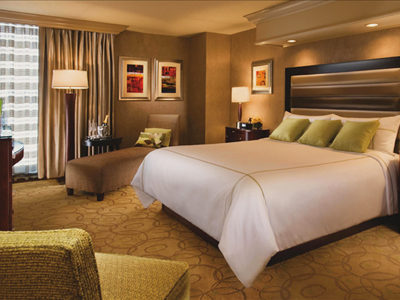 The rooms are large, with floor to ceiling windows giving great views of the Las Vegas strip. The room color palate is soothing and creates a comforting retreat from all the excitement. The rooms have large marble bathrooms, plush bedding and a modern chic ambiance. The hotel offers plenty of action in their well-appointed casino. 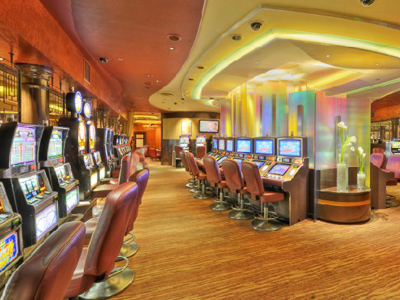 The friendly staff makes this casino a fun and enjoyable experience. They offer slots and video poker machines, all your favorite table games complete with the “Gilley’s Girls Party Pit” where you can enjoy beautiful dealers and country music videos, a poker room with high hand jackpots, and a private high-limit lounge. From the moment you arrive you know the entertainment will be amazing. The Treasure Island Theater has big name headliners. The Mystere show is a Cirque du Soleil extravaganza that will keep you mesmerized. The nightlife is exciting with the famous “Gilley’s Saloon” bring real country western cowboy style to Las Vegas with county music, dance and bull riding. The dining options are complete with fine, casual and international dining choices. The lagoon-style pool is another great place to relax and offers comfortable lounge chairs, a full service bar and poolside dining. You will want to spend the day in the splendid surroundings. Spa/Salon: Relax in the serenity of the Oleksandra Spa and Salon. The “O” Spa focuses on total body care and well being. Enjoy one of the varieties of massages, body treatments, and facials. Packages are available to give you a total body experience and they can be customized to meet individual needs. A full service salon is included in the spa to have you looking your best. Pool: Surrounded by palm trees and perfectly manicured grounds, the pool at Treasure Island is a great place to relax. Full bar service and poolside dining are available so you can spend the day. Comfortable lounge chairs surround the uniquely shaped lagoon style pool. A 25 person party tub and bar will keep the excitement at hand. 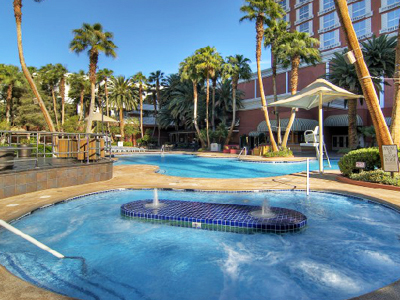 Rental cabanas are available for a more private pool experience. Perfume Eleven – designer fragrances. Siren’s Cove Shoppe – Treasure Island themed souvenirs and apparel. Lobby Store – sundries and newsstand items. 100 Degrees – pool side items such as, sunglasses and sun lotion. Gilley’s Trading Post – Gilley’s themed souvenirs and logo items. Fight your Las Vegas hangover with a cure from the Drag Brunch at Senor Frog’s while you enjoy the racy comedy of RuPaul’s Drag Race contestants. We thought this resort was average. It’s sort of small, but not horrible. The casino is nice. We wished it was a little more family friendly. The rooms are pretty standard. Overall we expected better. I love staying at TI. There’s lots of fun going on here: Gilly’s (dancing), the private poker room, and its in the middle of everything. Its really convenient to get to the fashion show mall and the rest of the strip. The rooms are nice and comfortable too! Hotel fee is $28 !! Very expensive, the fridge were dirty, with old food, and the bed with bad smells. Super small pool for a huge hotel.. And expensive resort fee for just a few wi-fi. Great place! Everyone was very nice, good food, great drinks! Will never stay any where else! My stay at Treasure Island was efficient and pleasant! The room was very clean and affordable. I liked that the hotel provided so many amenities. We had a King sized bed, a Flat Screen TV, a Desk, a Seating area, and a small fridge. Not all hotels provide a fridge so that was extremely appreciated! I enjoyed my stay here and plan on returning! The hotel was close to many large hotels/casinos and right next to the showcase mall. We felt the extra $28.00 a day charge was unrealistic, as we only used a couple of coupons, which weren’t much. The buffet was not much. Very unappealing set-up, couldn’t fix your own salad, no desserts at all, and the food was Mediocre. The other restaurants were exceptionally good. Room was quite comfortable. Lots of fun slots. All casino staff were very friendly, polite, and helpful. Enjoyed our stay there. First off the valet parking is free which was a good thing! If you self park the parking garage isn’t a far walk to the hotel. When we checked into the hotel the individual was boarder line rude to us. We called the morning of the check in and was told we would have a king bed but instead we got a double bed. When we first got to the room we found a few hairs on one of the beds. The hotel in general was way to crowded compared to other hotels. The bars were really good and I liked the pirate show out front. With that said we will stay somewhere else next time. We just had a bad first impression. No problems when we checked in. Our room was average, but clean. There was a mini fridge in the room too. The beds were comfortable. The location is right on the main strip. Walking distance to many of the big hotels. We ate the buffet, nothing special, but wasn’t terrible. The casino was smokey, just like every casion in Vegas. Right across the street was a Walgreens which was a lot cheaper for sodas and snacks. We requested a suite, facing the Strip. Great view. the hotel is looking a bit tired now when you compare it with the newer hotels, but it is a lot less expensive than the bigger hotels. The resort fee was more than we expected. The food was high in the restaurants, we ate elsewhere.